It has certainly been a season of ups and downs for the Mets. They have won 23 out of their last 34 games to take a slight lead for a wild card berth. Last night they fell behind 10-0 early on, but chipped away closed the gap to 10-8 as a 9th inning rally fell short. Today their bats really came to life as they beat the Philles 17-0 which looks more like a football score. Asdrubel Cabrera hit a grand slam home run while Jose Reyes drove in 4 runs. It was encouraging to see 7 shutout innings by Robert Gsellman. He may have to start a game if the Mets make it to Division series against the Cubs. There are now 6 road games left against Miami and Philadelphia. It was so said to hear of the death of Marlin Jose Fernandez's death in a boating accident. Their game today against Atlanta was cancelled. It will be hard for the Marlins to concentrate on baseball this last week of the regular season. It is similar to the untimely death of Yankee Thurman Munson in a plane crash in 1979. 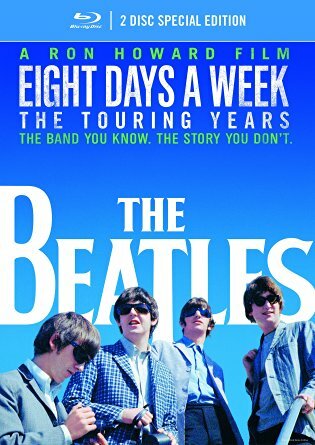 I must congratulate Ron Howard for putting together so much concert footage to compile this documentary covering Beatles concerts from 1963-66. 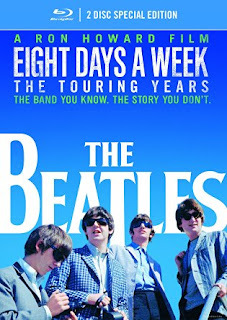 I have seen many Beatles films over the years including The Compleat Beatles, but I saw so many new scenes. 50 years later the Fab Four still has great appeal no musical act in all these years have impacted generations of listeners. The documentary is now seen on HULU, a subscription based streaming service, but it is being shown in selective theaters including the Kew Gardens Cinema. At the end of the film, The Beatles at Shea Stadium from 1965 was shown. I highly recommend this for Beatles fans of all ages. A splendid time is guaranteed for all. You would think this guy has enough radios in his house. Anyway after I got a little annoyed hearing mostly religious programs on the shortwave radio I got a few weeks ago I shopped in my beloved Amazon.com for a scanner. I found this model at a reasonable price. 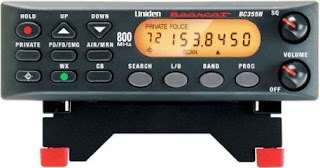 It is described as basic mobile scanner that's great for home or mobile use, with 300 storable channels, coverage of all the ""action"" bands, convenient features like ""close call"" and program lock, and a wealth of powering options for different applications. Receives conventional channels on the following frequencies: (25-54 MHz) (108-174 MHz) (225-380 MHz) (406-512 MHz) (806-956 MHz) (excluding cellular telephone bands. I only had a little time before dinner to play with it. It has bands for weather, police, fire and other emergency services. I guess I have another toy. This morning I took Lee to the endodontist (root canal specialist). My plan was to leave for work when he was finished there. I saw that there were terrible delays on New Jersey Transit as a result of the bomb going off near the Elizabeth station. Rather than cope with commuter aggravation on a rainy day, I decided not to come in. I have plenty of sick and vacation time and didn't have any meeting scheduled for today. Later in the day I heard the police in Linden, NJ apprehended the perpetrator of recent terrorist bombings. Thankfully nobody was killed, but what are these people trying to prove? I took Lee to McDonalds for lunch where he heard Sunshine Superman. He has picked out a Donovan CD to play during dinner tonight. While I was home today I downloaded IOS 10 for my iPhone 6. There are some subtle differences between versions of the operating system..
Microsoft gave everyone a year ending July 29 to get a free upgrade to Windows 10. On August 2 they made an anniversary update available. In both cases the user could pick the time to do the update. Very often there are minor updates to Windows which may take about 10 minutes to download and install. Today when I received an update, I thought it would just take a few minutes, but it took about 1 1/2 hours. It turned out that is was Windows 10 Version 1607. This week Apple offered IOS 10. I have decided to wait a bit before I upgrade. 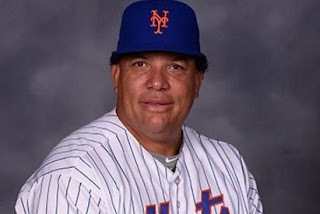 The Mets must sign Bartolo Colon to a contract for next season. He also deserves some votes for the Cy Young Award. 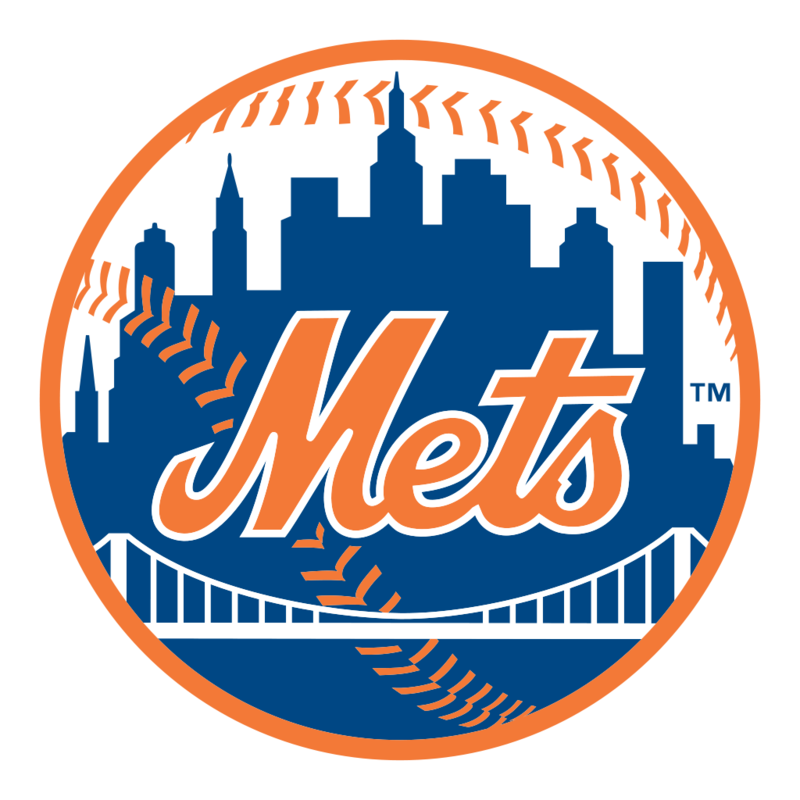 He allowed only 3 singles in 7 innings as home runs by Jose Reyes and Asdrubal Cabrera lead the Mets to a 3-0 victory over the Twins in an interleague game. The Mets now have a two game lead over the Cardinals for the second wild card berth and trail the Giants by only one game for the first wild card. Every evening at 6:00 either Lee or I pick what CD to put on the player. 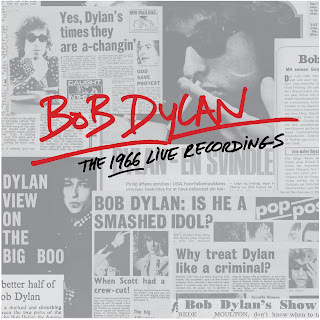 Today it was his turn and he picked The Basement Tapes with Bob Dylan and The Band. Good Choice! 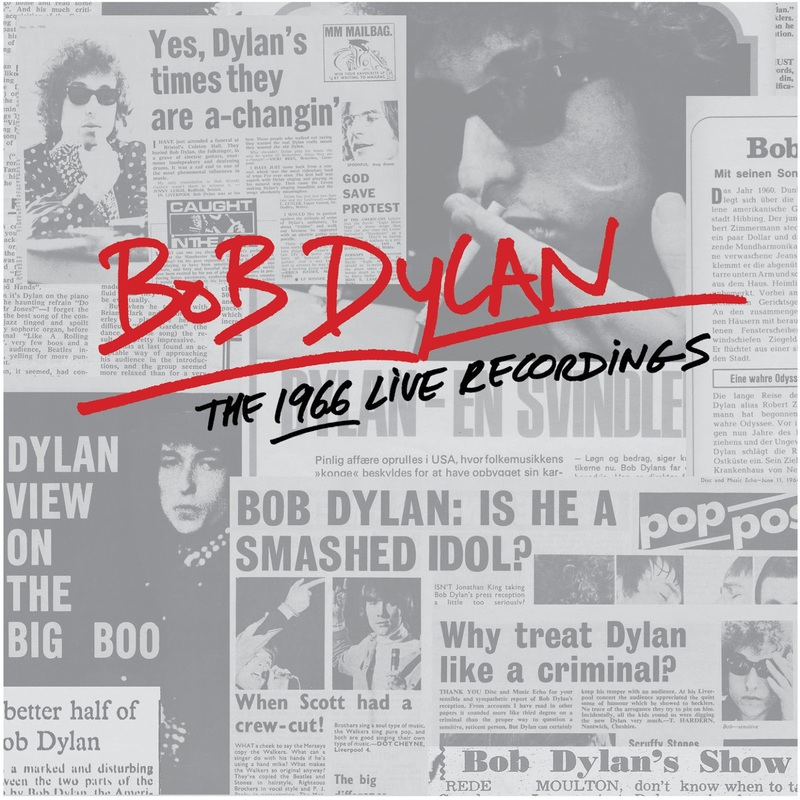 Below is an interview with Robbie Robertson who is talking about it. We lost my Dad, Irving Slutsky, on September 14, 1997 from pancreatic cancer. I also remember how hard he worked to support his family. For about 20 years he managed a woman's clothing shop in Mount Vernon (Westchester County) called Ruby Lane Stores. He usually worked 6 days a week. He was a big fan of the Brooklyn Dodgers and on July 15, 1957 he took me to my first game at Ebbets Field. He also took me to my first Met game at the Polo Grounds on May 30, 1962. On the anniversay of his passing I light a Yahrzeit candle seen above to remember him. We all have come a long way in 15 years, but can never forget what happened. Thank you to the police, firefighters, and first responders who made the supreme sacrfice to save the innocent victims. 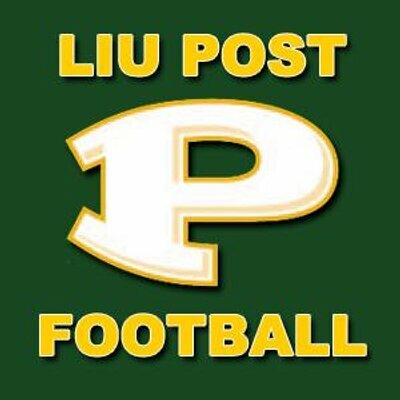 Baseball season is not yet over and both the Yankees and Mets have a chance of getting into the playoffs, It was about 85 degrees, but we headed over to LIU Post in Brookville to see our first football game of the season. It was close as Post was leading 22-20, but scored three unanswered touchdowns to defeat the University of New Haven 43-20. We used to go to football games at Hofstra, but the school ended the program about 5 years ago. 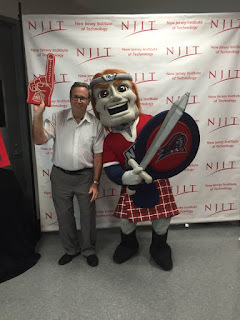 Next week I will observe my 24th anniversary working at NJIT (New Jersey Institute of Technology). 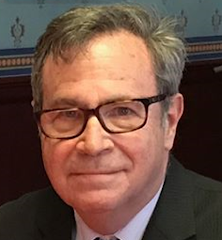 Sometimes it feels like it is forever, other times it feels like it was just yesterday when I took my first New Jersey Transit ride to Newark. 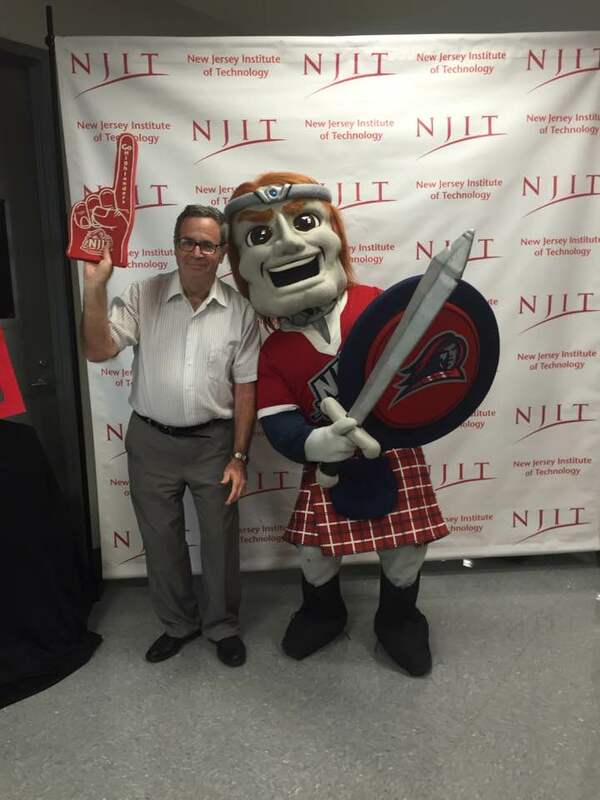 It was my pleasure to take a photo today with the NJIT Highlander mascot. Best of luck to all of the school's teams in their academic and athletic endeavors. 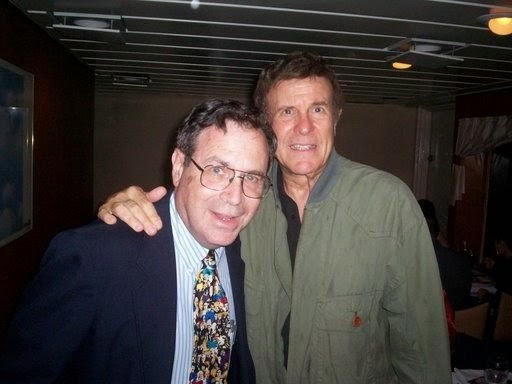 Don Tandler of New Jersey 101.5 and Pop Gold Radio along with oldies enthusiast Rich Appel have appeared many times in Bruce's Journal. 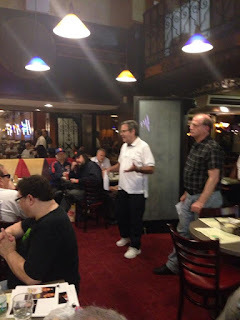 That Thing with Rich Appel has been appointment radio for me since he started the show. Likewise as time permits I listen to the countdown show Saturday afternoon on Pop Gold Radio. Now the two have joined forces. Until last week That Thing was heard on an oldies internet radio station run by a certain person who will go unnamed. In a dictatorial way this person decided that Rich's show was no longer suited for his station and dropped it. Don Tandler came to the rescue and now That Thing will be heard Saturday and Sunday evenings on Pop Gold Radio. Thank you Don Tandler for doing a mitzvah by picking up the show. The show can also be heard on about 50 internet and terrestrial radio stations. 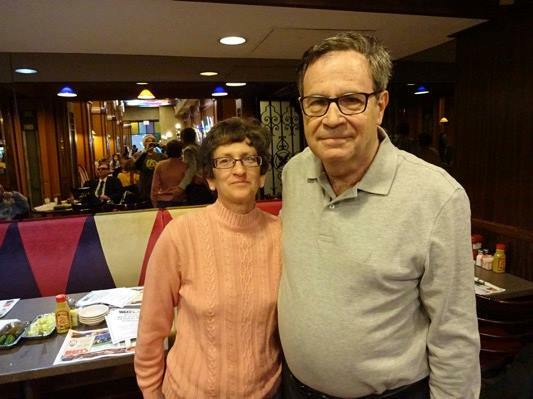 Best wishes to Don and Rich for continued success. This Labor Day Sunday game was supposed to start at 1 PM, but ESPN moved it to 8 PM so it could be the Sunday night game of the week. I guess money talks and since ESPN pays Major League Baseball big bucks the time of the game was changed. Max Scherzer was supposed to start for the Nationals, but he was moved back one day so the Mets faced Reynaldo Lopez. Seth Lugo who came to the starting rotation on account on injuries allowed only 1 run in 7 innings and was supported by two-run home runs by Curtis Granderson and Jay Bruce was the winning pitcher. The Mets have now won 11 out of their last 15 games and are now one game back in the race for the second wild card. We'll see what happens. My radio listening habits have certainly changed over the years especially after internet radio came into being. 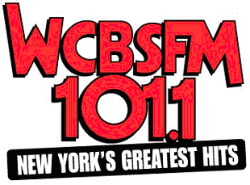 I used to listen to WCBS-FM for hours every day, but now I only listen for a few hours on weekends. I just don't like the "Morning Zoo" type of morning drive radio that is heard on the "Big Show" with Scott Shannon. When I was a lot younger they used to play hits from the 1950s to 1970s, but now they are trying to attract listeners aged 25 - 54 who are attractive to advertisers. Thus most of the music heard is from the 70s and 80s and even a bit of the 90s. The station is not interested in old people like me. This weekend they are doing an all 80s weekend. I listened for an hour or so on Sue O'Neil's show and was pleasantly surprised to hear hits that are not in their usual rotation. 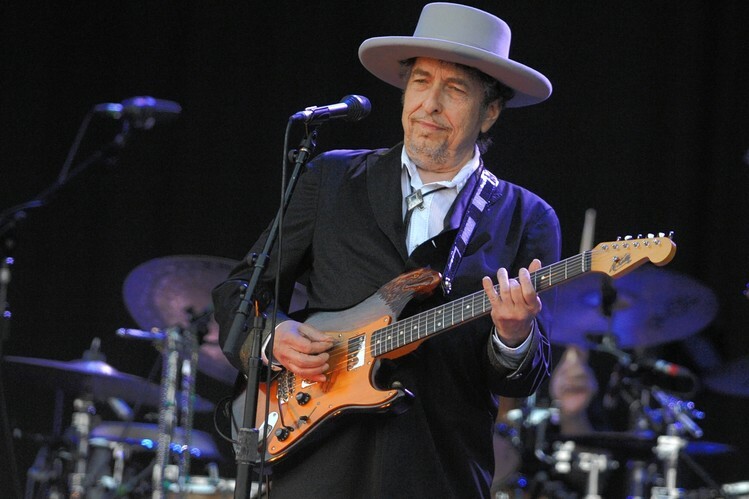 I heard Handle With Care by The Travelling Wilburys, my favorite supergroup. You just can't argue with success as the stations is consistantly #1 or #2 in the ratings.